Most of us have invited someone into our homes and one of the first things we said was “excuse the mess.” Whether it truly looks like a bomb went off, or we spent (ok, really our wives spent) all day cleaning, that is typically a default statement. We do this to make sure that if indeed something is out of place, the guests do not think that we are less than perfect. What about when it comes to our life? As Christians, we do our best to “walk in a manner worthy of the gospel” (see Phil 1:27) but it doesn’t always work out. And maybe that is due to a lack of effort, but that’s not what I would like to address today. What I would like to address is the other side of the spectrum. This is the side that belittles and breaks down. It is the side of us that is never happy with who we are (both on the inside and outside). Is this how we are to look at ourselves? David here recognizes that God “fearfully and wonderfully made” him. In addition, we can see in this same passage that being fearfully and wonderfully made is likened to being “set apart (see ESV study Bible).” God not only formed and fashioned David, and us, but he set us apart for himself. This is great news! Amazingly, God did not stop there. After setting us apart, God puts into motion a process in which he gives us a new heart (regeneration), declares us righteous (justification), and works to bring us to perfection (sanctification). Let’s take a look at this process in a few passages of scripture. God set us apart but did not leave us alone. He was actively involved in turning our messiness into beauty, giving us a new heart. The response of a regenerated heart is the reception of Christ as Lord and Savior. At that moment, God declares us as righteous. This is not because of what we have done, but because of what Christ did for us (see 2 Cor 5:21). Set apart and declared righteous are wonderful things God has done for us. But when we examine our lives, we don’t seem to be “perfect.” While we were declared righteous, we are also being made righteous. This process is known as sanctification and it is the way by which God refines us so we become more like Jesus, until one day we are with him. If each of us is striving to “walk in a manner worthy of the Gospel,” we are exactly who God wants us to be and where God wants us to be in the present. He fashioned each of us individually. He sets each of us on different paths. No two people are alike so no two “progressions of” sanctification (that’s my term) are the same. We musn’t be ashamed of who we are in Christ. We musn’t make excuses for the “mess” we are (or have made), but stand proud in our identity as children of God. And while you’re at it, don’t worry about the house. We all live in a little bit of mess there too! I just finished the book “Fearless”, a story about the heroic life and death of Naval SEAL Team Six Operator Adam Brown. I loved it for so many reasons, but for lack of desire in writing a book report I just want to share a few thoughts that have stirred in my heart as a result of reading it. First, I want my life to be different. Not necessarily different than it is now, though it will have to be, but definitely different than the “norm.” I want to exhaust myself in loving my wife and loving my children. I want them to know that they mean more to me than anything or anyone else on this earth and are only second to God in my heart. I want them to know that because God is first, they are able to get more of me than I could give them on my own. I want to enjoy more silly, irresponsible, and ridiculous times with my kids. I want to be more romantic and caring with my wife. I know I just don’t do those things enough. Second, I want to worry less about the little things. I don’t want the temporal junk in this world to have so much weight on my attitude and demeanor. I realize wasted time in God’s economy is such a shame and absolutely unnecessary. There are just too many great things going on to get hung up with junk. Instead, I want to spend all my time in life pressing into what matters most (God and family). Third, I want everyone around me to realize that every bit of good in me (my talent, recognition, achievements, and good days) is the result of a God that loved me. I try to take credit at times to my own fault, but it’s always been God. I didn’t know or understand it was God until August 13, 2001 but He knew it before he formed me. Without God, my life would be so meaningless but because of Him, everything has a purpose. So what will I do? How will the inspiration from this book last longer than the night? I am not completely sure but I do know that I will try my best to fearlessly attack each one of those areas above. If the life and death of Adam Brown taught me anything, it was that if I set my mind to something and trust God with it, failure is nothing more than an opportunity for a greater appreciation of eternal victory! Oh…and go read the book! I remember the first time I was truly exposed to the thought of Calvinism. A good friend shared with me in disgust that he found out two of our favorite musical artists were indeed Calvinists. “Ugh, that makes me sick!” was one of my first reactions. I couldn’t believe two men who would share such amazing music could believe in a God “like that.” That was 2009. Fast forward to this morning. I sat with a young man over a business meeting. A few minutes in, he mentioned that my email signature and other “subtle hints” led him to believe that I could be a Christian. I confirmed his assumption and went on to say that I was a pastor. He seemed relieved that was my answer to his question. We went about our business meeting on a new playing field. My message didn’t change, and I don’t think his did either, but because we knew where each other stood, things just went a bit “different.” The meeting went great as we talked business ownership, family balance, and more. As we wound down, he asked if I was familiar with his local church. I told him that other than mentions from a few people, I didn’t know much. Then he let the cat out of the bag…..
“We are a little different than many other churches” he said. “Like how?” was my reply. “Well, we are a bit Calvinistic…err, reformed” he hesitantly responded. “Ha, us too!” I said. At that point, we stood up and began walking out the door. What then transpired outside was something I needed personally after some weeks of theological discussions, challenges, and debates. He proceeded to share that years earlier he was faced with his dad telling him that Calvinism was supported by the teachings of the Bible. “I denied it and wouldn’t have it” he said. But as time went on, he searched the scriptures. He began to reluctantly discover that God was fully sovereign, thus in total control. He saw that God did the saving and his own “failed” attempts to save friends wasn’t failure at all, but the result of a God working apart from his human ability (or lack of it). He realized that God wasn’t disappoointed with his life struggles, but actually supportive and more in love with him than ever before. All this came at a time when depression and thoughts of suicide were prevelant in his life. And then, as he got teary-eyed mid-sentence, he said that practically overnight “this new view of God removed the thoughts of depression and suicide.” He no longer had to measure himself for God. He was free to live as God called him and trusted that if he gave all he had, God would take care of the results. I don’t need to be a Calvinist but I do need to be a Christian. I don’t need to line up with a man’s interpretation of scripture but I do need to line up with what I believe scripture teaches. I don’t need a God that manipulates but I do need a God that is always in control. I don’t need to convince anyone to believe as I do but I will encourage it because often times, it’s the only thing that gets me through the day. This blog was originally written for For His Glory Community Church (www.forhisglorycc.org). People are questioning God all the time. Many people ask things like, “Why did God allow that person to die?” “Why did God create the world and then allow sin in?” “Why doesn’t God let everyone go to heaven?” or “Why did Jesus die on a cross?” The problem with every one of those questions to God is that we completely miss the “what”. We should always ask, “What is the purpose behind everything that God has done, is doing, and will do?” Glory. Everything that God has done, is doing, and will do is to demonstrate how awesome, powerful, loving, and good He is. The mission of God from eternity past to eternity future was to glorify Himself. The first two chapters of the Bible in the book of Genesis describes the amazing work of creation. God creates the heavens, the earth, light, plants, animals and finally, humanity. It was a miraculous work that can be described as nothing other than God’s handiwork. Every other explanation the world has come up with doesn’t make any sense. God’s purpose in that magnificent work was to demonstrate His glory. In Romans 1:20, the apostle Paul says, “For his invisible attributes, namely, his eternal power and divine nature, have been clearly perceived, ever since the creation of the world, in the things that have been made. So they are without excuse.” God created everything and everyone so the world would see how awesome He is. Ultimately, God receives the glory. But something happened. In Genesis 3, the serpent (who would later in the Bible be confirmed as Satan; see Revelation 12:9) convinces Eve that if she eats of the tree of the knowledge of good and evil, she will be “like God.” There were three major problems with this statement. The first was that this was in direct disobedience of God’s words to Eve to not eat of this tree (Gen 2:17). The second was that God made Adam and Eve in His own image, not as Him, but like Him, so what Satan proposed was actually something Eve already had (demonstrating our constant oversight of God’s provision for us). The third was that Eve, and ultimately all of mankind, was attempting to take from God the one thing God demanded: glory. The result of the fall (disobeying God) was the curse of sin on the whole world. Every man and woman born from that day forward would be born with a sin nature, leading them to seek their own glory instead of giving it all to God. This is where the mission of God really began. God had to do something in order to turn all people back to Him in recognition of His glory. If your mission is to stop people from starving in a third world country, you may go on a missions trip to that country and help to provide the necessities to stop the starvation. If your mission is to get drugs off the streets in your local city, you may go on a mission trip (a local one) to the neighborhoods where this is taking place and interact with the people involved to stop this from continuing. Similar to that, God saw a serious problem with the sin in this world. Man’s sin and desire to revel in their own glory was in direct antithesis to God’s mission, that He would receive all the glory. God knew the only way to bring all the glory back to Himself was to go on a mission to the world. When God came into the world as Jesus Christ, He came to make Himself known to the world and bring God the glory above all things. Jesus established the kingdom of God which was to reign forever. Jesus also came to earth for God’s people. Man was full of sin and needed a way to be made right with God. There was no way for man to do it on his own. Jesus’ life on earth was an example of how we are to live our lives to bring God the most glory. In John 15:8 Jesus tells His disciples that by bearing good fruit, people would know they were His disciples and would ultimately be glorifying God. Then on the cross, Jesus defeated sin by paying the price for the sins of God’s people. When he rose from the grave, He defeated death once and for all. This allows men to be made right with God if they accept Jesus as their Lord and Savior and abide in Him. As Jesus was ascending into heaven to be seated on His throne, He commanded His people to go into all the world and tell the world of His glory (Matthew 28:18). There is nothing worse than being told what to do and maybe even how to do it, but not being shown and guided along the way. It happens in our homes, our jobs, and in many other places. But Jesus being perfect, knew exactly what we would need to continue His mission of sharing His glory with the world. In Acts 1:8, Jesus tells His disciples that He is giving them the Holy Spirit. The Holy Spirit works inside every follower of Christ to enable them to share the good news of Jesus Christ’s life, death, and resurrection for the glory of God. The purpose of receiving the Holy Spirit was so that, because of One Man, the Good News could be spread through many men to people all throughout the world. As the church goes into the world demonstrating Christ’s love and sharing of His perfect sacrifice, people everywhere will see God’s goodness and glory and, by the power of the Holy Spirit, come to saving faith in Christ. “All good things come to an end,” except when they come from God. Many people use the first part when mentioning all the temporary things of this world. All good things in this world will perish through old age, brokenness, or irrelevancy. But God is eternal, and His goodness and glory will remain forever. As God’s people, we are daily being brought to a closer relationship with Jesus, thus becoming more like Him. When Jesus comes back for the church (God’s people), He will complete this work and fully redeem each of us. We will be perfect and will rule and reign with Him in His kingdom forever. We will never worry about things (or people) perishing again. This will be an awesome demonstration of God’s glory in that He brings to perfection a broken and sinful people. The mission of God will be completed and all things will be restored to Him. We are faced with choices every single day. We are given the ability (in theory, but that’s a whole other blog) to choose the spouse we marry, the food we eat, the shirt we wear, the friends we have, the officials we vote for, and so much more. 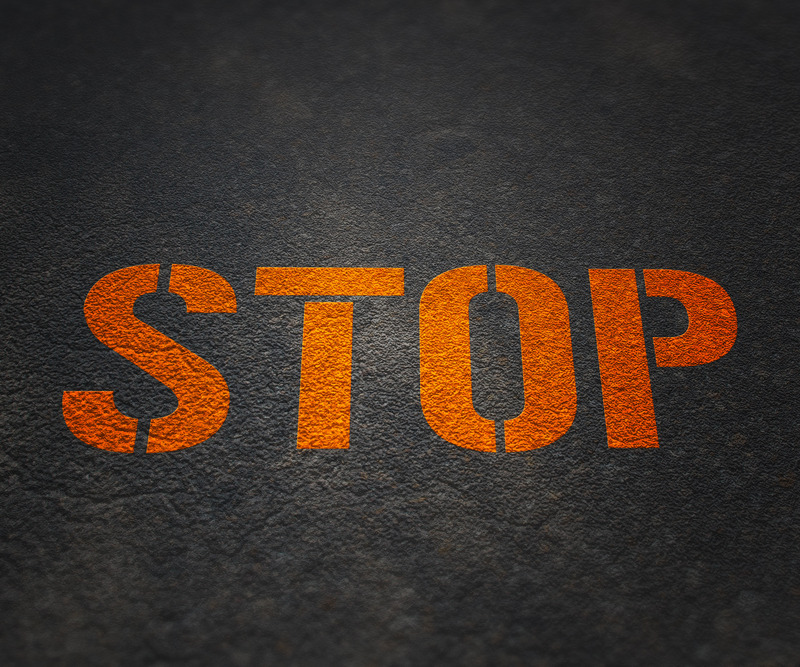 There are also times when we must make a stand when given a choice, and in doing so, we choose one set of beliefs over another and with that we often are choosing one person or party over another. As Christians, this goes one step further. Most every choice we face in life as Christians starts with two options, do we choose to go with God (him, his ways, his word), or do we choose to not? All throughout the Bible, we see men choosing both paths. Some follow God to the best of their ability in every decision they make. Others call themselves followers of God/Christ, yet choose their own ways over his. One such case is addressed in Matthew 15:1-9. As he often does, Jesus gets right to the point by saying, “This people honors me with their lips, but their heart is far from me; in vain do they worship me, teaching as doctrines the commandments of men.” (Matt 15:8-9). He clearly points out that they have chosen the ways of this world over the ways of God. And because they chose their ways over his, they will eventually pay the consequences. But it isn’t always that cut and dry. You see, for the Pharisees, they had no true regard for God so they didn’t really care how Jesus rebuked them. But what about those that want to honor God but choose against him anyway? Let’s take a look at another passage. In John 11:1-44, we read the well known story of Lazarus’ death, and Jesus bringing him back to life. But towards the end of that passage, there is an interesting thing that happens. In John 11:35, it simply says ” Jesus wept.” Why would he weep if he knew just minutes later he would raise Lazarus from the dead? Was Jesus just putting on a show? Was he deeply saddened by the loss of Lazarus not realizing that he would bring him back to life in a few minutes? Neither of those are possible if you understand the character and nature of God. So there had to be something else. Most likely, one of the primary reasons Jesus wept was because he fully understand why death occurred (sin) in Lazarus and others and that instead of choosing God, men were choosing to sin, or at least to agree with sin, thus signing their own death sentence (see Rom 6:23). Jesus was deeply hurt by man’s choices. So what about you? How many times have you made Jesus cry? It sounds so distant doesn’t it? But it’s not. He weeps over you, every time you sin. Often we choose others, because we don’t want to see them hurt or struggle. Often we choose family and friends, even when they are going against God, because we don’t want them to feel distant from us. But what we don’t realize is that every time we choose man (family, friend, etc), we are choosing against God. Every time we decide to “protect” those against God, we ourselves are choosing against God. What will it take for us to realize that we are the cause of Jesus’ pain and sorrow. We personally nailed him to the cross! And what is more alarming is that even when we aren’t the ones directly sinning, our agreement with those that are sinning is in fact just as offensive to God yet we don’t (want to) see it. I see you battling addiction. It causes great hurt to you, and heartache to those around you. You hope that it will just go away but it won’t. Some days are great you don’t need help. Others are awful and have you crying for help. The rest, well you got through them didn’t you? There isn’t a program or sponsor out there that will ever do for you what you need done. You don’t need a quick fix. You cannot rely on the very things that have failed you to this point. What may those be you ask? Humanity. Programs are made by men. Sponsors are men themselves. They can be helpful, and often times are. But they fall victim to the same things you do, sin. Sin isn’t something we “fix”. Sin isn’t something that will eventually just go away. We cannot simply ask for it to leave and more often than not, the harder we try, the more in festers. So what is left you ask? Ask for God, and God alone. This isn’t the God you have seen in church. It isn’t the God you have read about in that Bible you have at home. This is the God that has had His hand reaching out for you since the day you were born. Before you experienced your first sinful act, or hurtful circumstance, He was calling for you. God is deeply personal, and will stop at nothing to make you feel him, and need him, and cry out for him. God has allowed your addiction to hurt you, because He needs you to see that is what YOU are capable of. But God won’t leave you there. He has an out. It may take steps, and may involve a sponsor, but ultimately it means fully surrendering your life to him. You don’t even know what that means right now and that’s okay. It’s time you wave the white flag. Turn your back on everything that has put you in that place of hurt, and allow God, and His people, to bring you to a place where addiction will one day be no more. You deserve more. You deserve better. And until you realize that, you’ll stay right where you are at….or worse. This blog was originally written for and can be found at www.forhisglorycc.org. Recently, a Girl Scout in San Francisco made the news for selling her cookies in front of a local marijuana dispensary. Many news media outlets are reporting on this girl’s “crafty and savvy” thought to display outside of the dispensary. Even big organizations, like Entrepreneur Magazine, are celebrating the fact that this girl made a wise business decision to set up shop in front of a place where people are known to eat a lot of snacks (see cancer.gov research here). What is amazing to me is that in the midst of noticing this girl’s “crafty” idea, society has completely overlooked the fact that this young, impressionable, 13-year-old girl (supposedly selling cookies for a good cause) is utilizing sin to succeed. My assumption here is that this is probably not the message that the Girl Scouts of America wants to portray. But with all of the positive media coverage building up her intelligence and her success, why wouldn’t every other Girl Scout or find their local dispensary and do the same thing? Now, I know that there are practical medical uses for marijuana, which wouldn’t be sinful in and of themselves, but the “munchies crowd” probably isn’t looking to cure a sickness when they step into that dispensary. The Bible has a lot to say when it comes to celebrating the practice of sinful behavior, as well as using sin to succeed. The Apostle Paul is encouraging the church at Corinth to use love as a way to build one another up, which ultimately brings glory to God. Unfortunately, what he saw were the people of God celebrating the sin of another, which further damages the person in sin, leads to destruction or division in the church, and worst of all, defames the name of Jesus. Truly loving another means pointing out the wrong they are practicing before it’s too late, and they do damage that is irreversible. 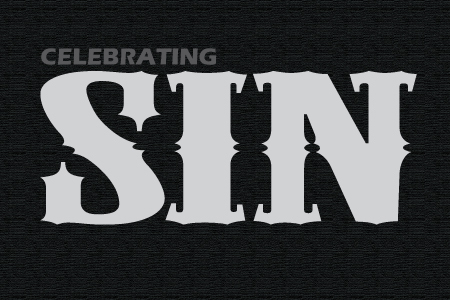 Another word against the practice of celebrating sin, as well as gaining from it, comes from Jesus himself. In Matthew 21, the Bible recounts a well-known event where Jesus cleansed the temple. Within the temple, there was a market where business-like activity enabled local citizens to set up shop in order to serve the city and travelers passing through. This would be similar to our present day swap meet or street vendors in popular cities (like San Francisco). They would exchange currency and buy and sell goods. Unfortunately, many were doing it for sinful gain, and Jesus knew it. Instead of fairly exchanging foreign money for the temple currency so the travelers passing through could buy goods for themselves and purchase animals for sacrifice, these money changers were charging an unfair premium to exchange the money, and in turn, would pay off those that had appointed them to the position in the first place (think money laundering and embezzlement). Jesus labeled them a “den of robbers” to compare to well-known thieves and criminals of the day that practiced similar behavior. While I am not ready to label this young Girl Scout one of a “den of robbers”, I am pointing out that our culture is perpetuating the (potential) sinful behavior associated with marijuana use and celebrating the financial gain that comes from it. To me, that sounds all too familiar to what Jesus reproached in Matthew’s account above. So how do we handle these situations when we face them? Never diminish the potential that sin has to rear its ugly head in all circumstances.Some may look at this Girl Scout as a cute, young girl looking to sell a whole bunch of cookies for a great cause. But we cannot look past the fact that sin is too closely tied to her gain. Examine areas of our lives where sin is profiting from our decisions. I understand that sin is all around us and almost every product we buy nowadays can be linked to some sort of greed or deceit, so don’t go crazy digging, but definitely be wise. Stay away from movies that purposefully distort the Word of God. Don’t watch TV shows that glorify sinful behavior. There are much better companies and causes that can use our money, and much more valuable things that can use our time. Point people to Jesus when they get caught up in these practices. It’s easy for me to speak out against the Girl Scout for doing wrong, and the media for that matter, but it’s hard for me to show them why Jesus is the better answer. I find it challenging at times to explain in a loving and caring way that the wages of sin is death, though it is, and that only by accepting Jesus Christ will they ever find true joy and fulfillment in their efforts, but I must. We must be willing to take the time to lead conversations towards Jesus, who is ultimately the only one who can solve the sin issues in which this world is so deeply consumed. Love God, love others, and stay as far away from the practice of sin as possible, because Jesus still cleanses and I don’t think we want to be collateral damage when it happens!